Adherents of other faiths (including Sikhs, Jains, followers of traditional Chinese religions and many smaller religious groups) have gone primarily to countries in the Asia-Pacific region and sub-Saharan Africa, where most also originate. 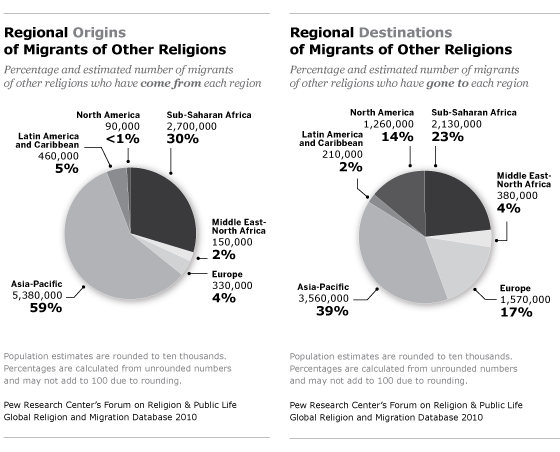 The origins of these migrants reflect the geographic distribution of the largest remaining religious groups. China (2 million) is the No. 1 country of origin for migrants in this catch-all category, including traditional Chinese religions. India is No. 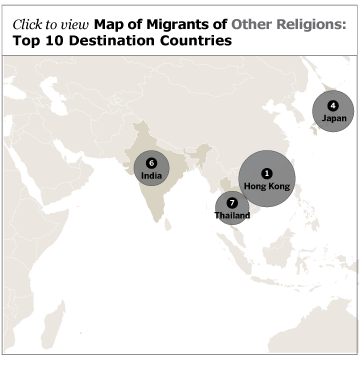 2, with about 900,000 emigrants who belong to other religions, including Sikhs and Jains. Some African countries, such as Burkina Faso and Mozambique, also have hundreds of thousands of emigrants in this category, which includes adherents of African traditional religions. 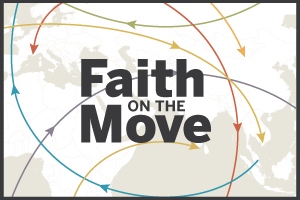 Migrants of other faiths tend to move to countries that already have a high number of immigrants – such as the United States, the United Kingdom and Canada – or they are part of large migrations to neighboring countries. For example, Hong Kong has received many immigrants of other religions from China, including some who adhere to traditional Asian belief systems such as Confucianism and Taoism. Similarly, the Ivory Coast has many immigrants of other faiths from Burkina Faso and Mali, where traditional African religions are found.